When I was a boy, I read every comic that Marvel Comics produced. Even the titles lost in the sands of time (does anyone else remember Moon Boy and Devil Dinosaur?). Today, even though I have grown, I still draw from the lessons I learned from Stan Lee and Jack Kirby and Roy Thomas. The principled heroics and moral clarity of superheroes is something I try to live up to in my own life. This vast knowledge of comic books allows me to state categorically that the Amazing Spiderman is the super hero that the Tea Party Movement is most like. It must seem weird to think of the Tea Party Movement as the Amazing Spiderman but it can be helpful for those out side or new to the movement, who seek understanding. 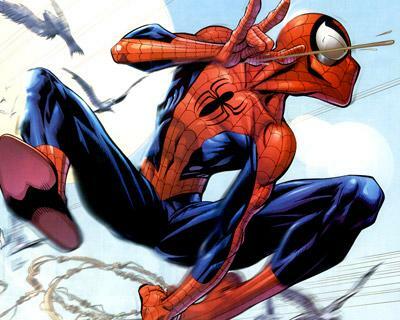 A radioactive spider transformed the intellectually gifted but physically unimpressive Peter Parker into the athletic and muscular Spiderman. Likewise it was the sting of the housing bubble bursting and the toxic responses of both the Bush and Obama administrations that spurred many off their couches and into the streets on April 15th 2009 for the first Tax Day Tea Party rallies. Just as teenage Peter Parker had to learn and grow to become the hero Spiderman, so has the Tea Party Movement learned from the many elections and initiative campaigns that we have worked on. We are a very young movement, and have suffered some growing pains. Like Spiderman with each new adventure our strength and skills grow. A sad way we are like Spiderman is that we too have lost our uncle and mentor when Andrew Breitbart left this world on March 1, 2012. Spiderman remembers “…with great power comes great responsibility,” we #RememberBreitbart with all his boundless energy, irreverent humor, and incandescent joy at doing what we can to thwart those that would keep us on our knees. Every one of us continues the battle in the ways that he taught us. So who is the greatest enemy of the Tea Party Movement? How many times have you read or seen reports that the Tea Party Movement is racist? 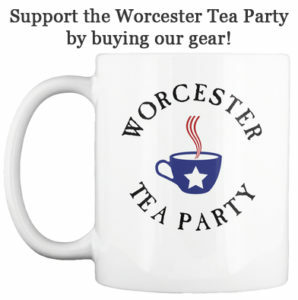 The Tea Party Movement has been instrumental in electing dozens of black, Hispanic, Asian, and women candidates to office across the country. The only black man serving as in the US Senate is a Tea Party supporter. But that is not in sync with the narrative that the Legacy Media is pedaling. So they never mention it. The Legacy Media will continue to print lies about the Tea Party Movement even as it costs them what little credibility they now have. They are so consumed with pettiness that they often refuse to capitalize the words Tea Party in their stories while they always capitalized the word Occupy in the fawning odes they published about that group. Spiderman gives us an example of how we should deal with the Legacy Media. 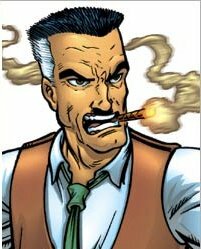 Spiderman never goes to the offices of the Bugle and tears Jameson from his chair and dangles him from the roof tops of Manhattan. No Spiderman is a hero. He doesn’t have time to sweat the small stuff. Spiderman has rescued Jameson and the Bugle many times. And he laughs off all the twisted headlines and slanted editorials. And so should we. Since the Legacy Media is willing to fabricate stories to harm our movement there must be something we can do to defend ourselves. The best course of action for members of the Tea Party Movement is to be on our guard not to fall into any of the Legacy Media’s traps. More importantly we must laugh at them. When Ronald Reagan debated President Jimmy Carter in 1980 he didn’t get angry and shout at the distortions of his record as governor of California. He laughed and sighed and famously said ‘…there you go again.” Some credit that debate performance with winning Ronald Reagan the presidency. We are working to save our country that is the most serious endeavor a person can ever attempt. But we can not let the seriousness of our goal rob us of our joy. None of us is Spiderman, or Ronald Reagan. But we can all learn from their example. We can collect the thorns and hate thrown at us, and hand back roses. Laughter at the ridiculousness of these blowhards works better than shouting. Advice courteous of your friendly neighborhood Tea Party Man!